The battlefield instead moved to the realm of deterrence that was based on the notion that threats will keep the opponent at bay. The arena of threats has shifted from the traditional concept of battlefields to a multi-dimensional concept of a battlespace, which is imbued with a virtual character. In this new paradigm, the projection of power is more important than actual application of power. This optical power is derived from the power of the image supplanted with narratives that assures operational effectiveness. Elaborate displays of high-tech weapon systems are projected to reflect military capability. Embedded in military doctrines/concepts and adorned with eye-catching nomenclature like ‘Anti-Access Area-Denial’ and ‘Cold Start’, military power promises victory through operational virtuosity. It is a technophobic view where the political and social contexts are disregarded. In March 2018, Russian President Vladimar Putin used an emotional speech accompanied by an animation of a cruise missile heading towards North America and claimed that Russia was developing weapons that can overcome any ballistic missile defences. Optical power is inherent in a military platform and can be exploited by high end photography and videos. Optical power serves to impress the viewer and project operational capabilities much beyond actuality. More often than not, optical power is merely a tall claim that does not stand the test of time or whose claims are often never tested in its lifetime. Platforms when accompanied by jargon like ‘stealth’ convey invincibility. Recently, the much-touted stealth capability of the J-20 aircraft of China was exposed for being phoney as the Indian Air Chief claimed that the aircraft was detectable by IAF radars. The Chinese may dispute this claim but the game of cat and mouse endures. This action-counteraction is the domain of deterrence where weapons are never used except for their power to create mirages to influence perception. The mind of opposing leaders, both civilian and military, is the battlespace. China seems to be doing reasonably well in the above battlespace and appears to have convinced most of the world including even the USA, which in its capabilities is still not only way ahead in military power but also is the most battle-hardened. China has had no war experience to speak of, other than the 1962 Sino-Indian operations and the botched Vietnam invasion in 1979. Yet, China seems to have arrived militarily and that too incontestably! How does that happen? Because of the seduction by technology. If technology were the main war-winning determinant, how is it that the US (the most powerful military power in the world) has lost most of the major conflicts it has taken part in after the Second World War? Vietnam, Iraq and Afghanistan provide ample proof that winning wars is different from winning tactical battles where the technological edge matters. Wars are fundamentally about people and their will to fight. It seems China has convinced the leadership of many countries, without fighting, that they are not only an economic power of consequence, but also that they are militarily very nearly right at the top. It would seem like Sun Tzu is alive and kicking! But Sun Tzu’s ideas of winning without fighting has a fatal flaw. The defeated are not necessarily disarmed and they can rise again and strike back if conditions change and allow it. That is why Clausewitz advocates that it is better to impose your will preferably by extermination. China may win by use of psychological dominance, but that dominance has a shelf-life. 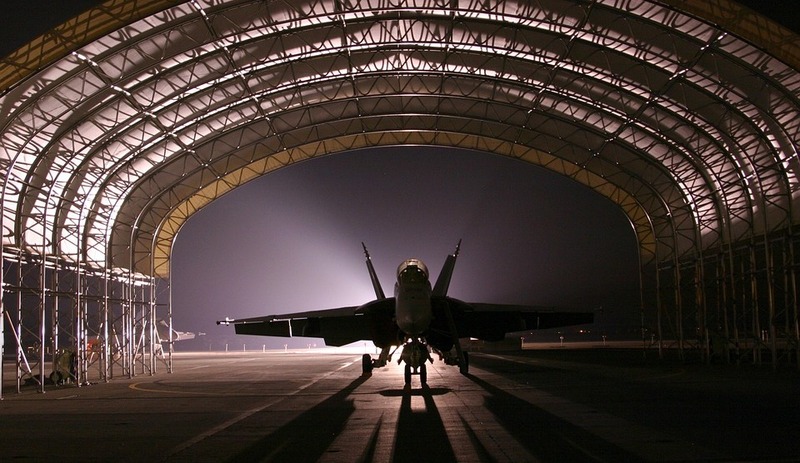 China has been using optical power to create false impressions about its military capability. It has spawned several of them which gullible analysts have meekly swallowed and helped propagate those impressions. Reports circulate of underground submarine pens in Hainan island that can accommodate twenty-five submarines, when only two or three is actually feasible. A newly-commissioned aircraft carrier is put on display to give the impression that China’s maritime power will soon be a match for the US. Actually, they require decades of experience to be fully exploited, and until China builds several of them in the next twenty years, Chinese naval vessels in the Indian Ocean will mostly be devoid of air-cover unless they are supported from offshore bases in countries like Pakistan which would however seriously restrict their operational reach. So, China’s military power in the Indian Ocean can be on display but its surface vessels cannot fight effectively. China’s use of force has been in measured doses, just enough to frighten smaller nation-states, which does not give much room for the bigger bully, USA to rush and rescue the besieged. It would be reasonable to assume that China will not pick a fight with a major power and it would be amenable to retractions and wait out the issue. Indian strategic calculations should keep this in mind. China’s military character is therefore one of impersonating strength to deter the big and medium powers while overwhelming smaller states through sheer size. Military power utilises its capacity to hover in the background while road and island building progresses. Doklam 1.0 is illustrative. Cyber capacity is extensively utilised to steal technology and produce military platforms indigenously. The similarity of some military platforms to their western counterparts is indicative. Notably, Cybernetics is a domain where China advertises its considerable capacity including electronic warfare. But cyber activities by itself can hardly ensure nor deliver victory. It has the power to hurt albeit with temporary effect and its usefulness in a war between near equal powers is unknown. There is no gainsaying the perception that one should never underestimate potential adversaries. China is arriving with considerable speed and heft and will continue to relentlessly pursue its geopolitical objectives until its demographic profile and internal problems catches up with its ambitions. But let us not be blindsided by optical power which is effective only in the make-believe world of deterrence where military can wear the cloak of strength via technological mirages. With the recent statement(s) of the Chief of Army Staff that, “China has arrived” and ongoing overtures by the political leadership towards China (including offloading of our traditional stance with regard to the Tibetans in India, silence and denial about Doklam 2.0) I would suspect that Indian statecraft has been impacted by the glare of China’s optical power. If true, India is on the menu instead of being at the global and regional geopolitical table. Lt. Gen. (Retd) Prakash Menon is the Director of the Strategic Studies Programme at The Takshashila Institution. He was the Major General General Staff of the army’s Northern Command responsible for operations in J&K and the Commandant of the National Defence College, New Delhi. 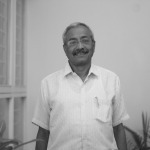 After his retirement in 2011, he continued in government as the Military Advisor and Secretary to Government of India and from 2015 as Officer on Special Duty in the National Security Council Secretariat.He has a PhD from Madras University for his thesis “Limited War and Nuclear Deterrence in the Indo-Pak context”. He was appointed by the Union Cabinet as a member of an expert group for the creation of the Indian National Defence University.